Inventory We are a resale marketplace, not a box office or venue. Ticket prices may exceed face value. This site is not owned by Consol Energy Center . The Consol Energy Center Pittsburgh was opened by Paul McCartney on August 18, 2010. 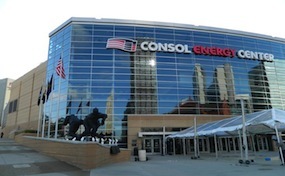 The Consol Energy Center Box Office is home to the NHL's Pittsburgh Penguins. Replacing Mellon Arena, the Consol Center has hosted some of the biggest performers in the world in its first few months including Lady Gaga, George Strait, Roger Waters, The Eagles and more. The ConsolEnergy.CenterPittsburgh.com is a privately held company that specializes in the sale of tickets in the secondary market. We are not affiliated with any official supplier or box office. To purchase tickets to any Consol Energy Center in Pittsburgh events simply call our operators at anytime or click on the event you wish to attend.